In this chapter the writer found a problem when he began teaching language. And the students were often taught unrelated structures and to their context of used. In the social science training he believes that human behavior could only be understood in the contexts when it happens, because context would affect behavior. Undeniably a form of human behavior the language could only be understood in the context when it occurred. 1) An analysis of the structure of a language, as in a corpus of speech or writing (a performance grammar) or as predictive of a speaker’s knowledge (a competence grammar). 2) An analysis of the structural properties which define human language (a universal grammar). 3) A level of structural organization which can be studied independently of phonology and semantics. Discourse is any naturally occurring stretch of language occurring in context (Carter, 1993: 22). ⇒Grammar is the study of how syntax (form), semantic (meaning), and pragmatic (use) work together to enable individuals to communicate through language. 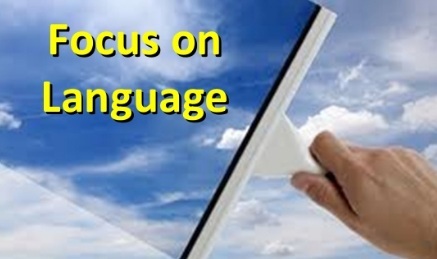 Vocabulary is more than lists of target language words and intimately interrelated with grammar. It is possible to divide the lexical system of most languages into “grammatical words”, such as prepositions, articles, adverbs, and etc. The “grammaticality” of vocabulary also manifests itself in word morphology, that is the grammatical particles that we attach to the beginning and ends of words in order to form a new words. Vocabulary has played second fiddle to grammar. And proponents of audiolingualism argued that foreign language would be most effective if learners concentrated their effort on mastering the basic sentence patterns of language. In addition to enabling researchers to do frequency counts, they also reveal fascinating patterns in a language. For example, for the noun way is taken from Willis (1990: 28), who points out that it, is the third most common nouns in English after time, and people. Data bases enable linguists to identify patterns in language that are not immediately apparent. Another advantage of these large data bases is that they enable researchers to identify the functions performed by particular words. We look at aspects of phonological system of language that tended to be viewed somewhat differently from the grammatical and lexical systems. Pronunciation seems to be more apparent than for grammar and vocabulary. Both of it are in a complementary relationship. Pronunciation and listening are design to have learners identify differences of meaning based on differences in individual sounds, suprasegmental task teach differences of meaning based on stress, rhythm, and intonation. From the observation in the learning/ teaching process, there is alarming gap between what I was trying to teach and the things that they actually appeared to be learning. And also the effect of my pedagogical effort sometimes seemed to make my learners worse, not better. Whereas learning another language was a process of erecting a linguistic “building” in step-by-step fashion, one linguistic “brick” at a time. The organic notion that learners “grow their own grammar” is readily demonstrated by tasks such as the following in which learners are asked to identify and explain the differences between closely related grammar items, such as simple past/ present perfect or the active and passive voices. There are three Extract that some of it is difficult at first and second language readers so they need to understand the grammar and vocabulary in each extract. And the structure and meaning of the individual sentences, readers need to know how the sentences relate to each other. The interconnections between sentences in discourse and the contributions they make to coherence have been studied by Hoey (1983, 1994). And according to Hoey, a coherent passage is the existence within the sentences of certain “text- forming device”. Most of the sentences can be connected to preceding ones by what are called anaphoric or “backward pointing” devices, for example such, its, this. Cohesive reference is the subsequent items can only be interpreted with reference to the initial phrase of sentence one. For example: he, him, and his, Martin Scorsese, he all refers to a single individual. - Personal reference is realized by pronouns and determiner that serve to identify individuals and objects in the context. - Demonstrative reference is realized by determiners and adverbs (a single word or phrase or paragraph or several pages). - Comparative reference is realized through adjectives and adverbs (serves to compare items within a text in terms of identify or similarity). Anaphoric reference (point backwards) reminds readers or listeners of what has gone before, “cataphoric” reference points them forward. Halliday (1985) combines substitution and ellipsis into a single category. There are three types of substitution: Nominal, Verbal, and Clausal substitution. Examples of each are shown in pages 120-121. Conjunction is differs from reference, substitution, and ellipsis. And there are four different types of it, and they signal the following semantic relationship: temporarily, causality, addition, and adversity. Examples of each type are shown in page 122. The final category of cohesion is lexical cohesion. It occurs when two words in a text are semantically related in some way. In Halliday and Hasan (1976), the two major categories of lexical cohesion are reiteration (repetition, a synonym or near synonym, super ordinate, and general words.) and collocation can cause major problems for discourse analysis because it includes all those items in a text that are semantically related. The problems arise because, in contrast with other categories, lexical cohesion is realized through open rather than closed class items. It includes pronouns, conjunctions, prepositions, etc. Hoey (1983), argues that ordering of information in discourse can be accounted for in terms of certain rhetorical relationship such as cause-consequence, problem-solution. By using four sentences to illustrate the ways in which these relationships function in discourse. We have looked at some of the linguistic element that helps to establish the coherence of language. But in this example do not guarantee that speaker or writer will be understood. Although the conversational fragment does not any of cohesive devices described, most people agree that it make sense. It makes sense, because it is possible to create a context in which it fits together at a functional level. As the result, the missing bits of conversation, which would make it cohesive as well as coherent, could be stored. The conversation works because, as competent users of the language we expect the function “request” and followed by “explanation” so transitive verb to be followed by an object. In none of these interactions is miscommunication caused by the interlocutors getting their linguistic facts wrong. And the miscommunication occurs at the level of discourse. Communication breaks down because one person misinterprets the function of the other person’s utterance. Speech acts are simply things people do through language, and when using language we not only make propositional statements about object, entities, and states of affairs and so on, but we also fulfill functions, for example, “apologizing, complaining, instructing, agreeing, and warning”. Schema theory suggests that knowledge we carry around in our heads is organized into interrelated patterns. These are constructed from all our previous experiences of a given aspect of the experiential world, and they enable us to make predictions about future experience. Given the fact that making sense of discourse is a process of using both our linguistic knowledge and content knowledge, these schemata or “mental film scripts” are extremely important. Widdowson provides a lively piece of (fictional) interaction to demonstrate the points he wishes to make. In the example, we can look that A’s first statement is a statement. B’s response and A’s statement is taken as refusal of the invitation. This is recognized in A’s final remark. By exploiting this principle, teachers can encourage their students to take greater responsibility for their own learning (The example can be found in Heat, 1992). Student can bring samples of language into class, and they can work together to formulate their own hypotheses about language structures and functions. This principle show learners that form, meaning, and use are inextricably interlinked, and what grammatical choices (for example, with combine two pieces of information using coordination or subordination) will be determined by considerations of context and purpose. 1. What are the essential characteristics of an organic approach to second language acquisition? The essential characteristic is that we give language to the students simultaneously at a time, not step by step. Then the understanding from each of the students will be varying, just like we grow a garden. 2. What are the practical implications for teaching an organic approach? We can use contextual technique to practice this approach. 3. What is the pedagogical implication of organic approach? c. Encouraging learners to explore relationship between grammar and discourse. 4. Could you explain about the building block metaphor? And what is the gap students and teacher making sense? Building block metaphor means that we teach language from the simple one to the complex one (step by step). As we know, this is the only way to teach about second language to the students, but actually it would be better to teach students about second language contextually.